It is quite untimely that great author Tom Clancy passed away before he could finally see his character Jack Ryan played by Chris Pine on the wide screen. There are many what-ifs and what-nots that are happening right now, but we could not turn back time just to make everything perfect according to our preferences. What we can do is appreciate Tom Clancy's works and by sharing them to others so as his legacy lives on. 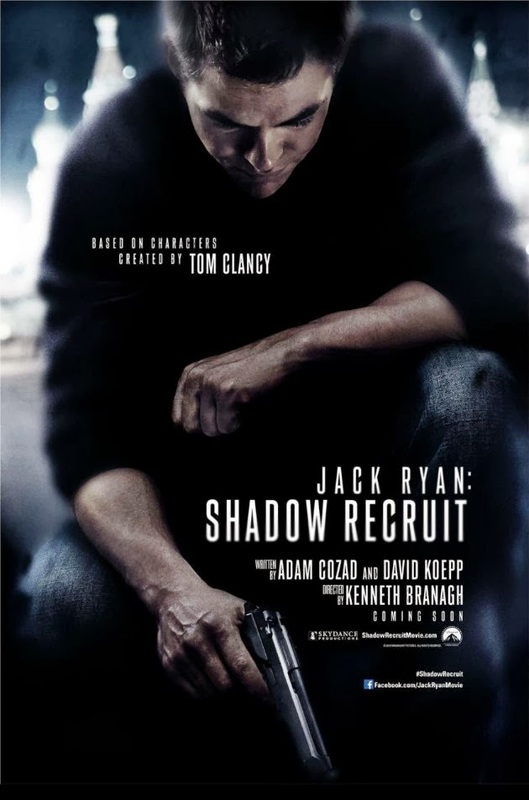 Jack Ryan: Shadow Recruit, a movie based on Clancy's character, is directed by Kenneth Branagh based on the story by David Koepp. This Paramount Pictures-produced movie stars Chris Pine, Keira Knightley, Kevin Costner, Peter Andersson, Kenneth Branagh, David Paymer and Colm Feore. Watch the new trailer of Jack Ryan: Shadow Recruit, starring Chris Pine. Jack Ryan, a young covert CIA analyst, uncovers a Russian plot to crash the U.S. economy with a terrorist attack. Prequel/reboot based on the Tom Clancy character featured in films like The Hunt for Red October, Patriot Games, Clear and Present Dangers and The Sum of All Fears. Jack Ryan: Shadow Recruit will hit cinemas on Christmas Day, December 25, 2013.